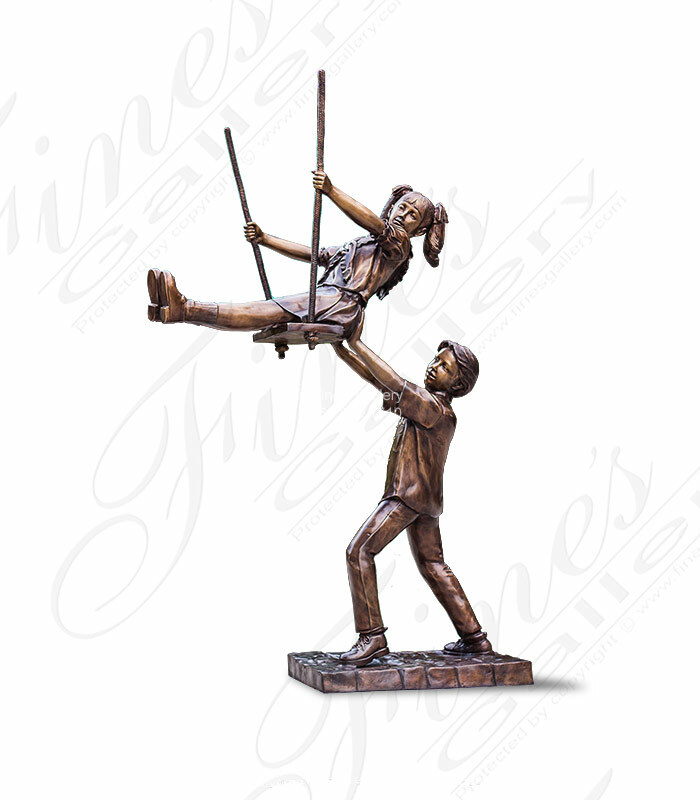 This amazing life like bronze sculpture depicts a boy helping his kid sister to climb up on a hollow tree stump. The artist created this masterpiece by hand resulting in amazing life like features. 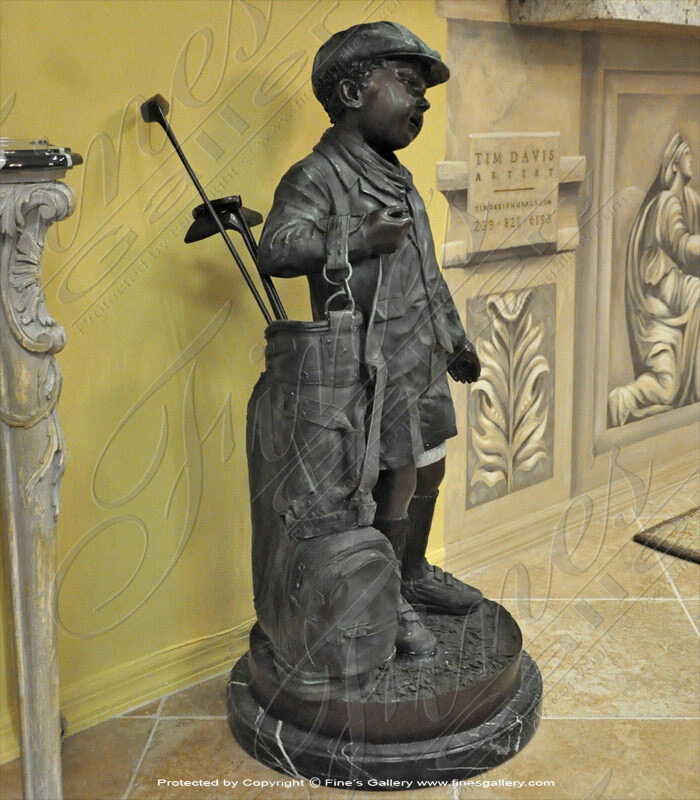 Incredible detail of this truly one of kind bronze statue. Featuring a very artistic and realistic depiction capturing youth. Two young children at play swinging. 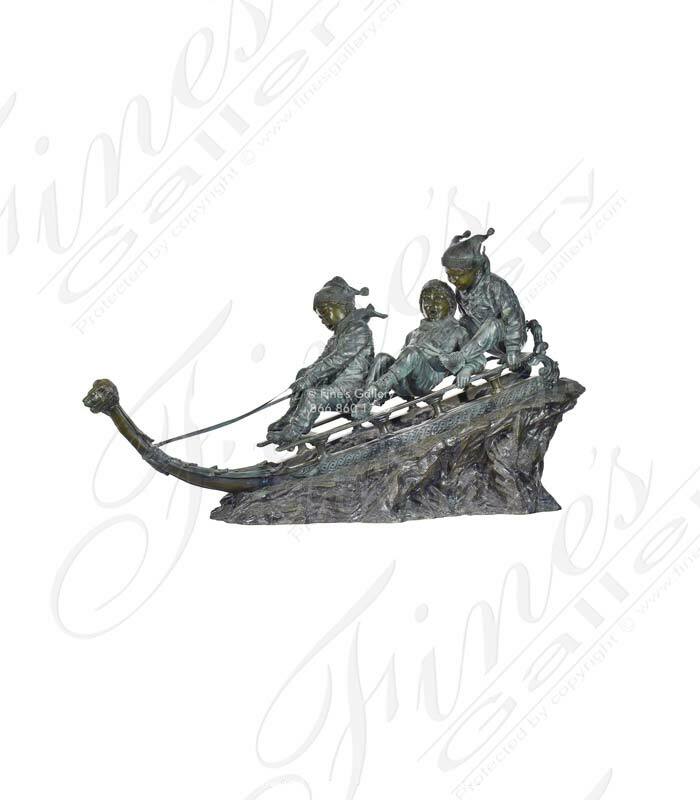 Cast in beautiful bronze this amazing work of art will be a beautiful design for your decor. 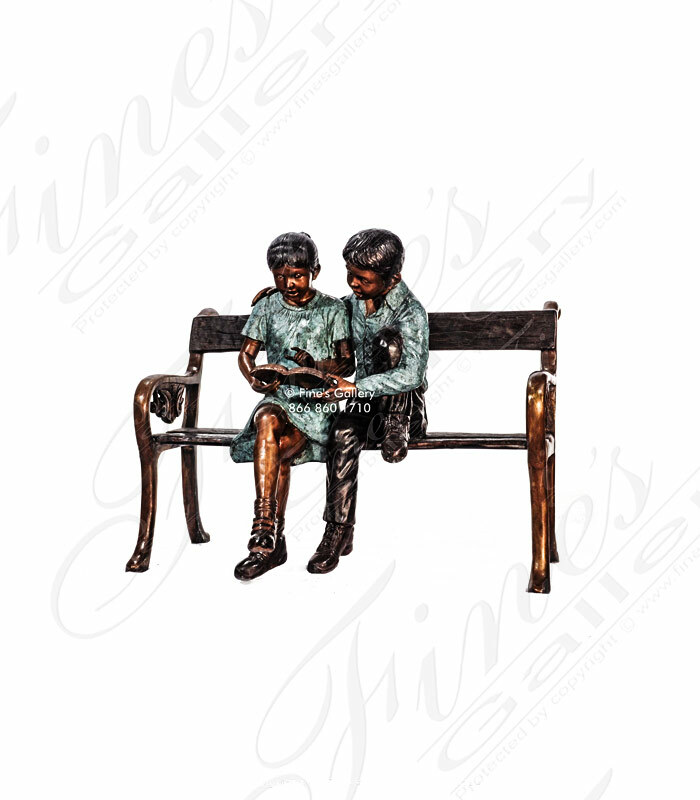 Five Kids On Tree Stump in brilliant bronze. 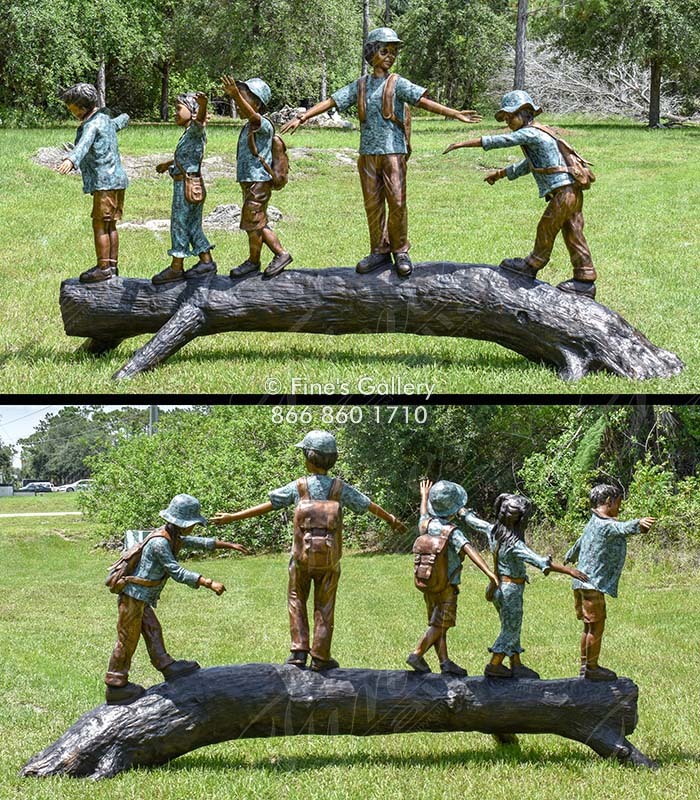 An amazingly life like statue featuring five school kids carefully crossing a fallen tree stump. This piece measures over 11 feet in length and just shy of six feet tall in total height! 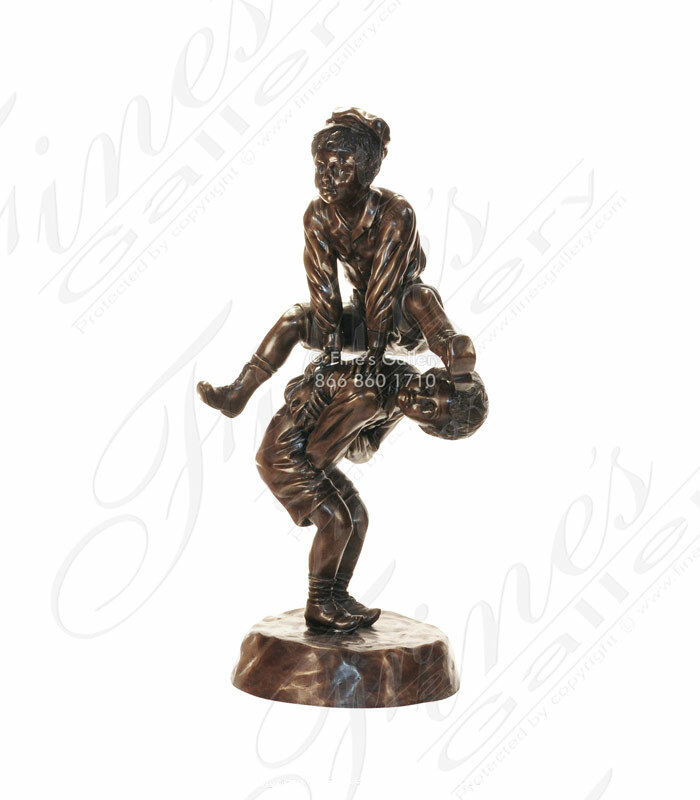 This bronze statue depicts two boys playing leap frog with no cares about what goes on around them. This portrays the reality of childhood innocence. 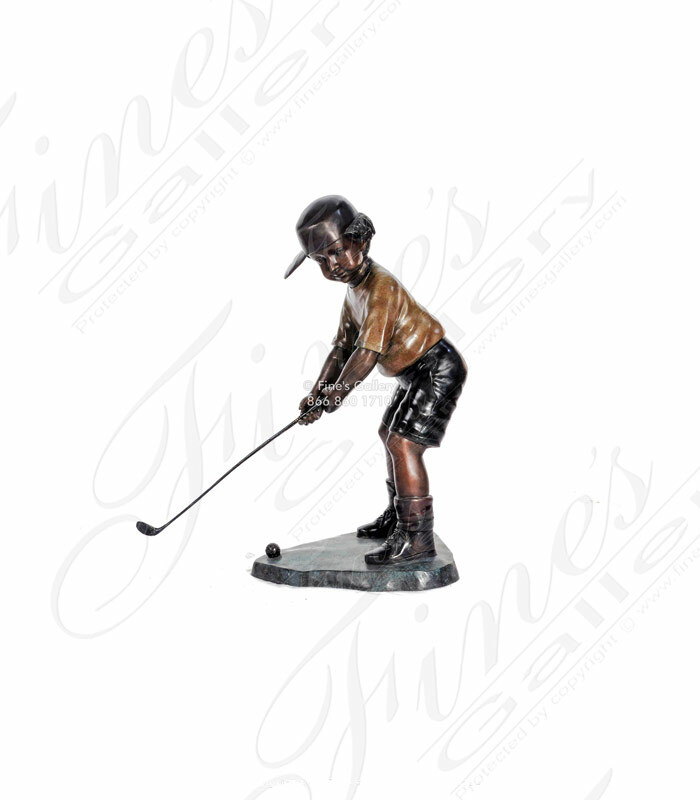 The piece is made of bronze with a beautiful polished patina finish to enhance the sculpture. 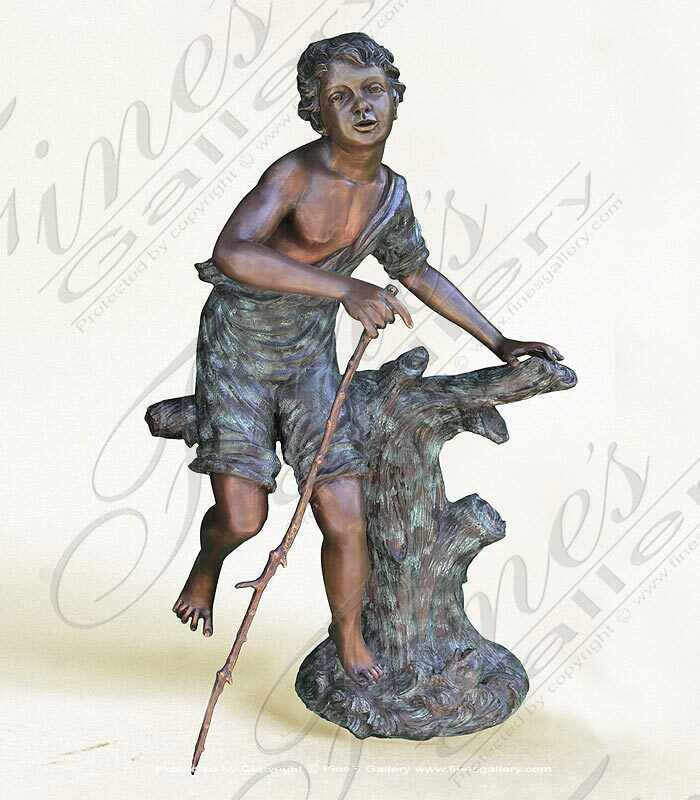 A beautifully crafted bronze children statue that depicts a young boy with a stick playing in the forest. Excellent detail throughout with varying bronze coloring. The perfect choice for a designer decorative element. Call us today. 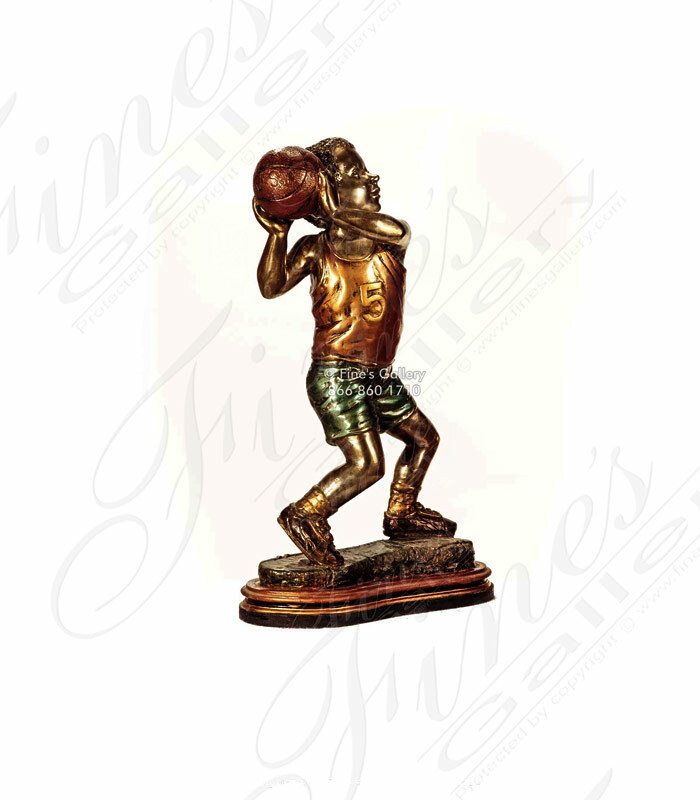 This adorable bronze statue depicts a young boy getting ready to make a shot into a basket. The look on his face lets you know that this is one of the happiest moments in his life. 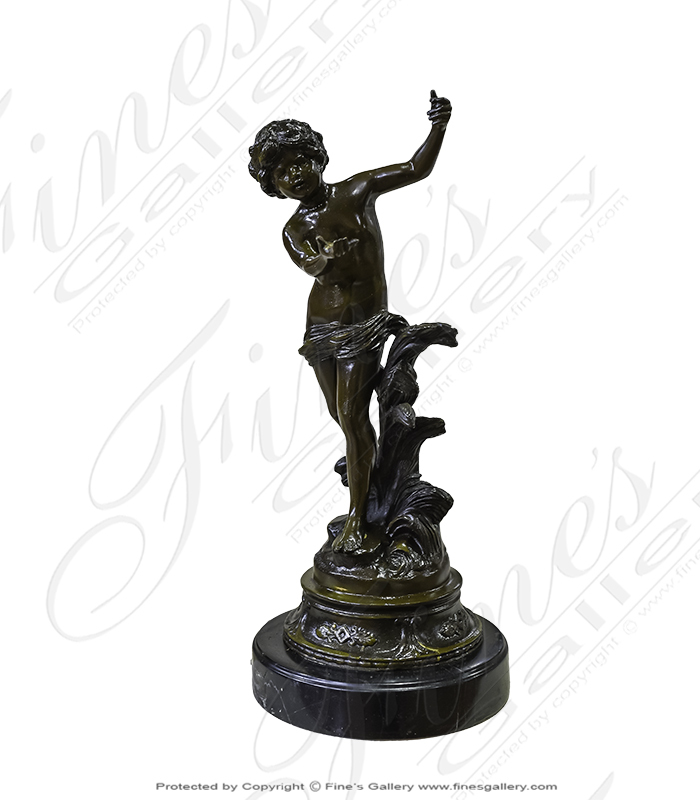 The exquisite bronze piece is finished with several beautiful patinas. This statue shows two sweethearts enjoying the time they have together. He helps her swing by pushing and at the same time standing behind her to support her for that moment in time they have together. The bronze piece is finished with a green patina. 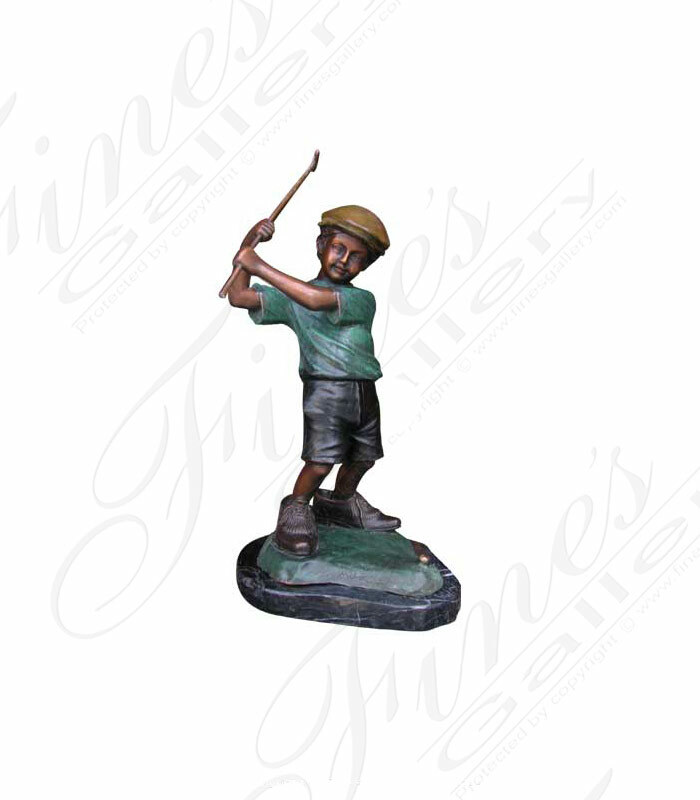 This bronze statue shows a young boy imitating his father as he swings his small putter over his head. Standing in his fathers shoes, he hopes one day he can be just like his Dad. The bronze piece is finish with a green patina. 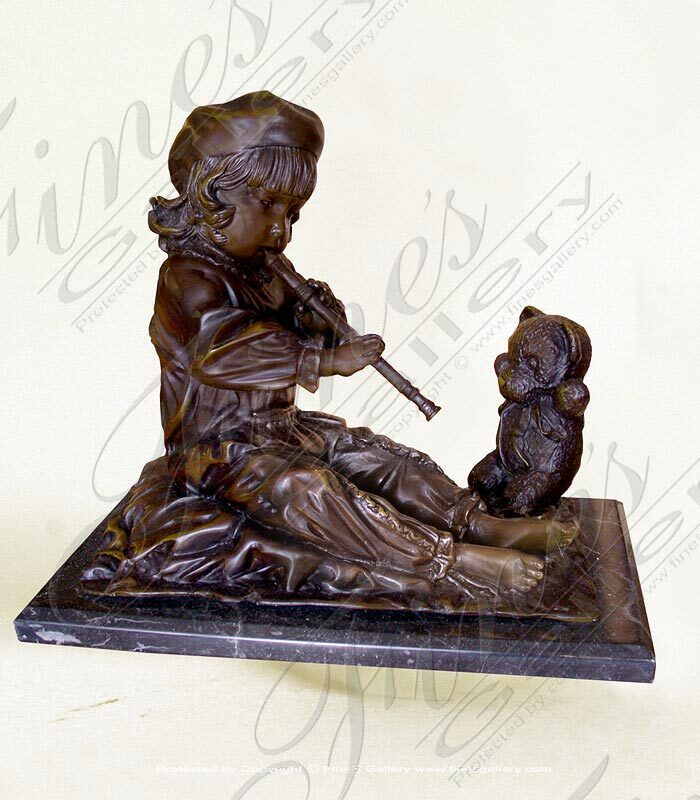 This cute little girl is playing the flute for her favorite teddy bear. She loves teddy dearly and never goes anywhere without him. 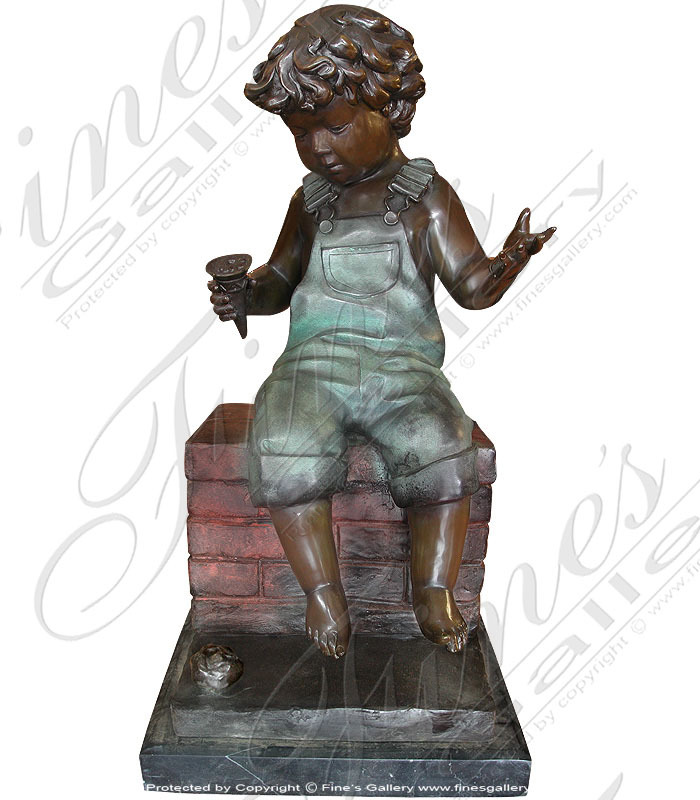 This bronze children statue is made of bronze and finished with a beautiful polished patina to enhance the sculpture. This poor little boy looks down as his ice cream falls off its cone and plops on the ground. As he ponders what to do next, the small scoop of ice cream on the floor slowly melts away. This bronze piece is finished with several beautiful patinas. 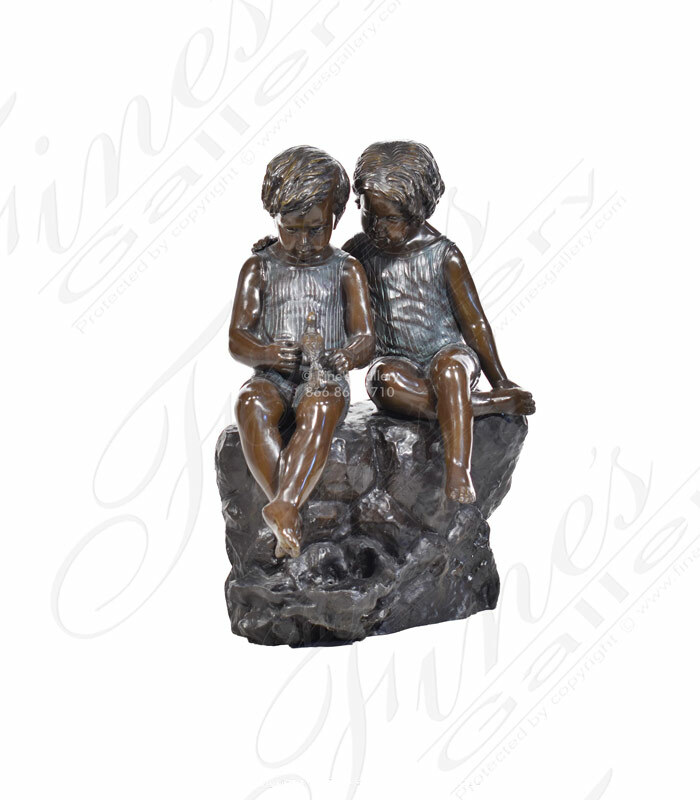 This bronze statue depicts two young children learning and showing compassion towards a small bird that has fallen from its nest. You can see the concerned look on their faces as they carefully hold the bird. This piece is finished with a polished patina. These adorable small children are intimately reading together on a bench. They not only share the love of reading but also of each others company. 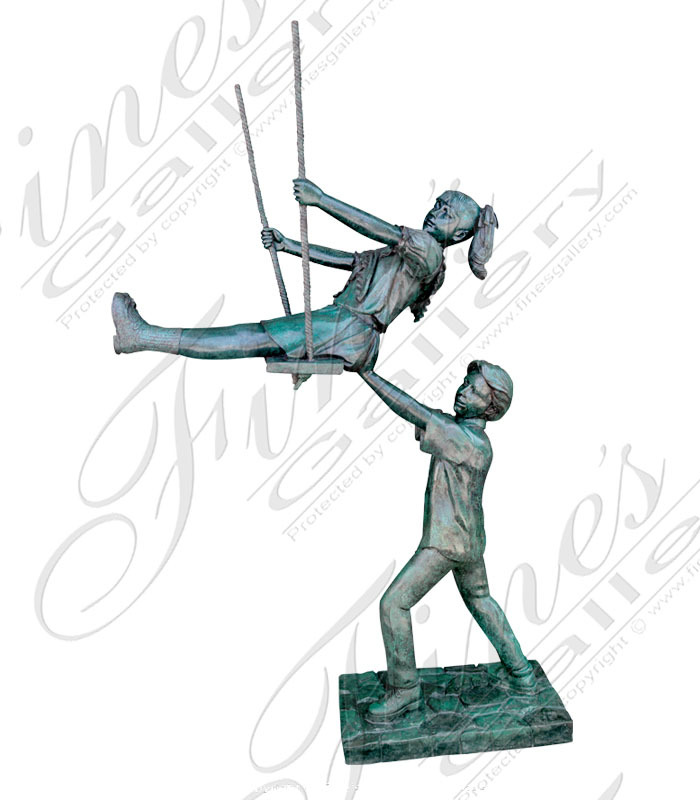 The piece is made of bronze with a beautiful patina finish to enhance the sculpture. Its the first snowfall and first day off from school for these three energetic boys. They take out their exotic antique sleigh and test it on a small freshly covered snow slopes. 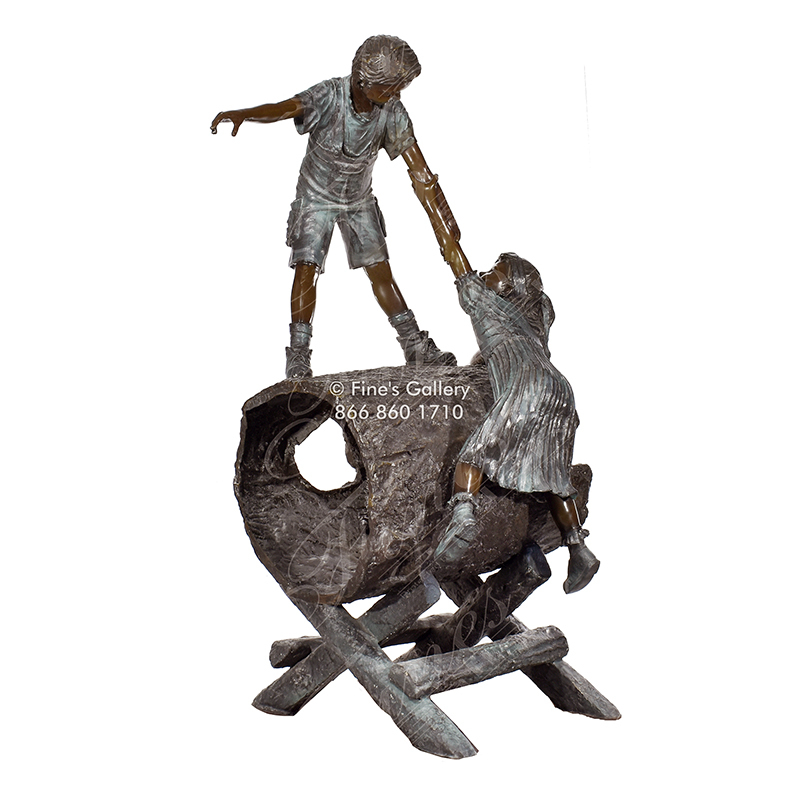 The piece is made of bronze with a green patina to enhance the sculpture.